Dramatic, sophisticated and brilliant, an elite design tailored for wine aficionados. It features generously sized bowls with an elegant convex-style stem. This glass stemwares is crafted in restaurant quality crystal for superior clarity, luster and durability. Glassware for a totally coordinated presentation. 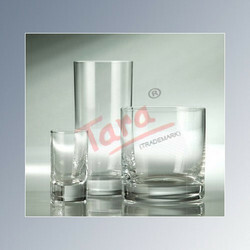 Our range of glass stemwares includes drinking glasses, drinking glass tumblers, stem glasses and wine drinking glasses. Sleek, smooth and sophisticated, our wine drinking glasses conveys a fundamental, enduring appeal with its simple design and clear walls that richly reveals your drink's sparkle and color. This restaurant quality glassware delivers superior durability, clarity and brilliance for years of enjoyment. It also coordinates with all glass stemware lines. 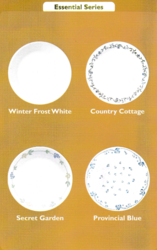 We are a renowned name, which is engaged in offering Corelle Dinnerware Set. 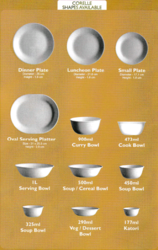 Looking for Glass Stemwares ?